The meeting will take place Tuesday 28 July 2015 at the Serragiumenta Castle, a charming location that will host both the talks and the brunch. 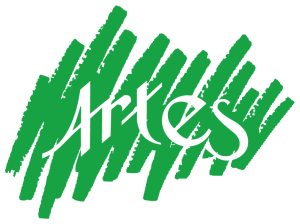 ARTES will organise a free transfer service from the nearest airports and railway stations for all the participants. After the meeting the participants are invitare to join the social dinner. Take the exit Firmo, Sibari, Bari. Keep left and follow for Sibari. After 500mt, right after a Cafè called “L’espresso, turn right in direction Altomonte. Keep on driving on SP174. After 1,5km turn right following the sign “Castello Serragiumenta”. Prendere l’uscita svincolo autostradale di Altomonte. Svoltare a sinistra direzione Firmo (NON seguire per Altomonte centro). All’incrocio con SP174, svoltare a sinistra. Dopo circa 2,5km svoltare a sinistra seguendo indicazione “Castello Serragiumenta”. Follow SS534 in direction of A3 Salerno/Reggio Calabria highway (Firmo entrance). There are trackworks and there will be a detour towards a parallel street (SS283), which leads to a roundabout. At the roundabout turn right and take the SS241, following the directions or A3 Firmo. After 4km turn left towards A3 Firmo and get back on the SS534. Just before the highway entrance in Firmo turn left in direction of Altomonte. After 2,5km turn left following the sign “Castello Serragiumenta”. About our work, the meetings, the locations.